Years ago they used to sell a yarn called “rug yarn”. I am not aware of any “rug yarn” for sale now. We are asked about rug yarn all the time. 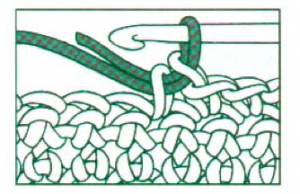 The equivalent of rug yarn would be bulky weight yarn. This retro looking grey striped rug is written in two sizes: Large Rug measures 24” by 41” without fringe and Small Rug measures 16½” by 31” without fringe. It is so EASY to crochet. Great beginner project! There is only one repeat round! 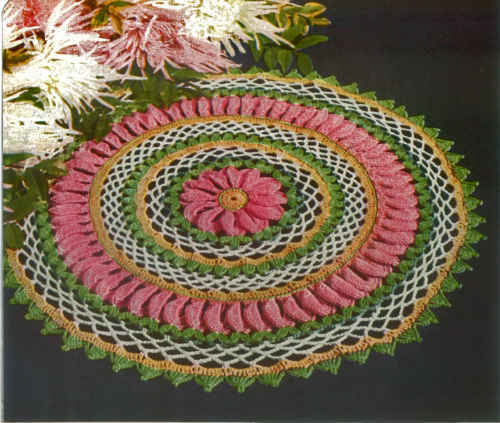 Try creating this design in a wide variety of colors. Don’t be afraid to experiment with color and yarns. Try using a heavier weight or two strands of worsted weight yarn. 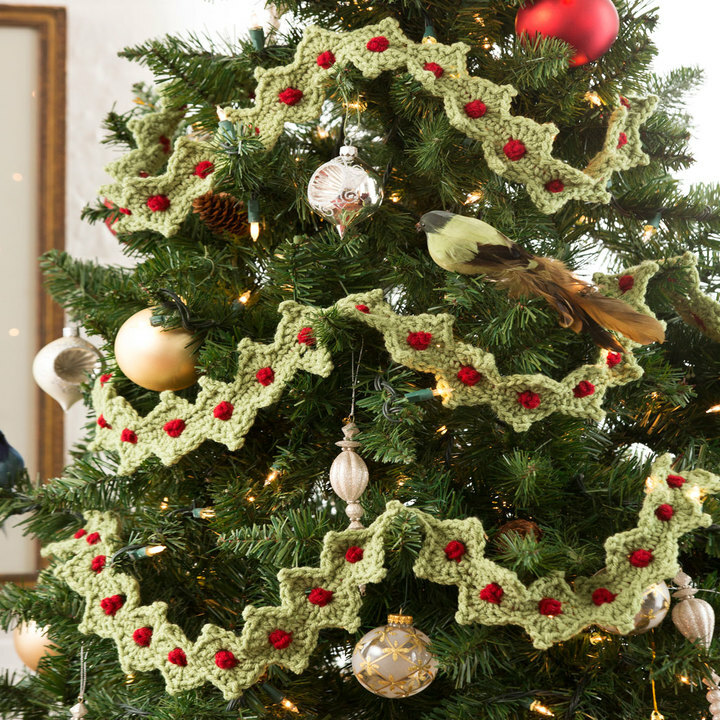 The design will work up faster and larger with bigger yarns. Sizes: Large Rug measures 24” by 41” without fringe. 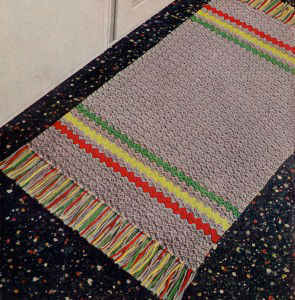 Small Rug measures 16½” by 31” without fringe. For Large Rug – 11 skeins Gray, 1 skein each of Red, Yellow and Green. For Small Rug – 6 skeins Gray, 1 skein each of Red, Yellow and Green. Row 1: (Right Side) Starting at short edge, with Gray, ch 96 (64), 2 dc in 2nd ch from hook, * skip next 3 ch, (sc, ch 2, 2 dc) in next ch (Shell); rep from * across, ending with skip next 3 ch, sc in last ch. 23 (15) Shells. Row 2: Ch 3, turn, 2 dc in first sc, sc in next ch-2 sp of Shell, * ch 2, 2 dc in same space, sc in next ch-2 of next Shell; rep from * across. Row 87 (67): Ch 1, turn, * sc in next 2 dc of next Shell, sc in ch-2 lp of same Shell, sc in next sc; rep from * across row. [92 (60) sc] Finish off and weave in ends. Wind all 4 colors over a 5 (4) inch cardboard. Cut one end. Double 1 strand in half, loop through 1st st, draw ends through lp tightly. Repeat in each st across each short end working as follows: 1 strand Gray, 1 strand Red, 1 strand Gray, 1 strand Yellow, 1 strand Gray, 1 strand Green; rep from * across.